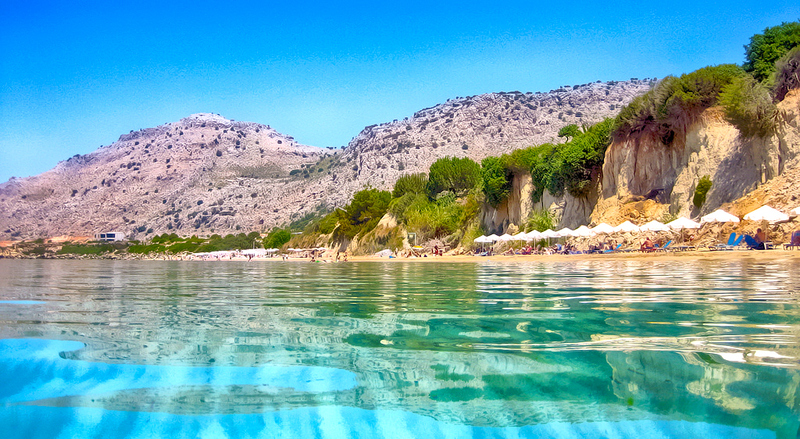 Located at about 78 km from the town of Rhodes on the south-western part of the island, Fourni beach does not attract many visitors. It is a quiet, isolated, sand and pebbles beach with fine natural surroundings, ideal for naturists and those that hanker after extremely quiet beaches. 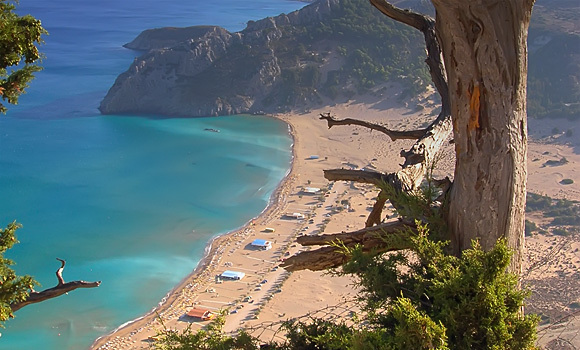 It is wild pebble-and-sand beach at 3 km from the village of Monolithos. There are no tourist facilities here but only a small canteen that sells refreshments and light snacks. 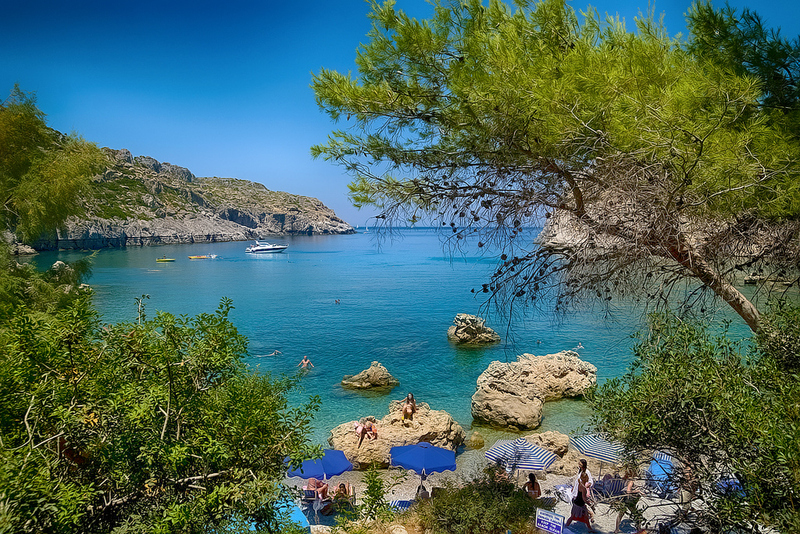 Little coves and bays and three or four ancient caves set the scene for a really picturesque and private beach, a rare sight in Rhodes. Beaten by strong winds the sea is usually rough, so do take extra care, unless you’re a strong swimmer. Look for the rock ancient carvings in the shape of baths. According to local historians, the baths were built for the exclusive use of nobility.